And so, the final episode of this run has come and gone. So here's my review of Toad's Bright Idea! Considering The Biggest Present of All and the Disney sequels (The Hunchback of Notre Dame 2, Lady and the Tramp 2, etc. ), neither of these prospects really filled me with too much optimism, but would the team pull it out of the bag again? The short answer? A resounding "yes". Every time the team are in a situation that many think they can't get themselves out of, they deliver in style! This episode is, like I thought, similar to a cheap Disney sequel (the ones that use a throwaway line as a plot point for a future project), but it's by far one of the best examples that I've seen. Gator and Toad played off each other brilliantly here. Should Gator have known better than go off without a lamp on? Yes, but it's been made apparent here and in Tale of the Brave that Gator knows his lamp is a constant issue, but since he's (I'm assuming here) made other deliveries at night with no lamp without fault, it's understandable he'd be so headstrong here. It's like someone coming up to you telling you what you should be doing, even though you know exactly what the problem is and you know what you're capable of. Also, Gator wanted to get a ship back home, which gives his actions even more credence. It doesn't make them right, but I'll get to that in a little bit. The scene from Tale of the Brave was woven into the story brilliantly. 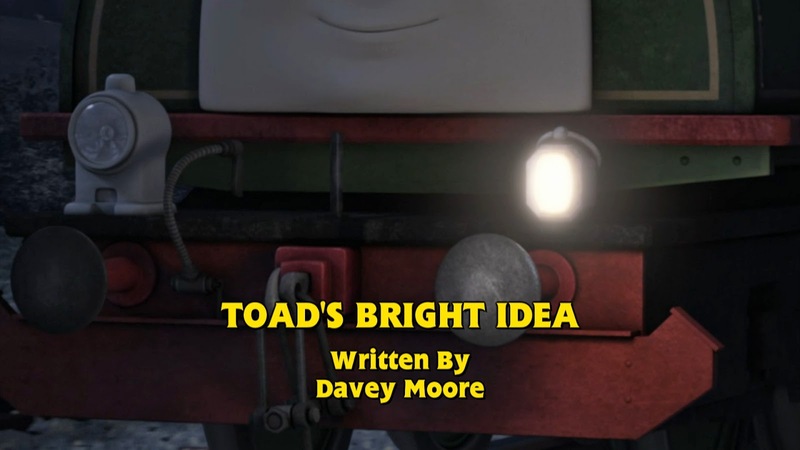 Davey only added the part that was necessary to the plot, and it never really stuck out; it felt like that part was made specifically for this episode, even though it wasn't. 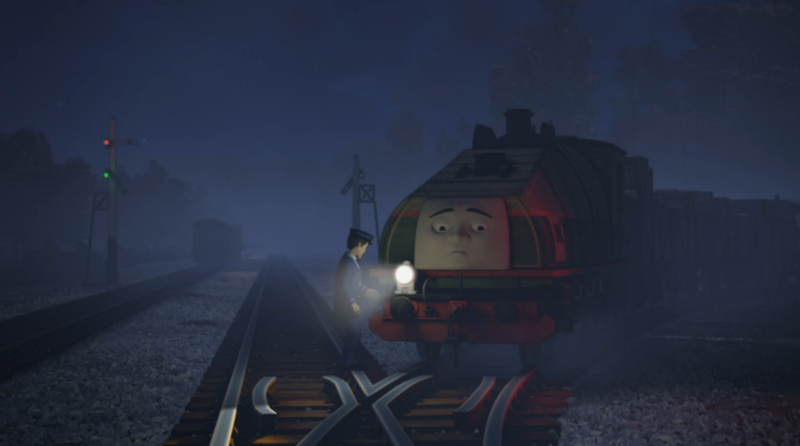 One main inconsistency though was that Gator knew he was collecting trucks from the Little Western that morning before speaking to Percy, but here he was told about it that night. There are others, but I won't go into detail on those. Toad's increasing frustration was really interesting to watch. 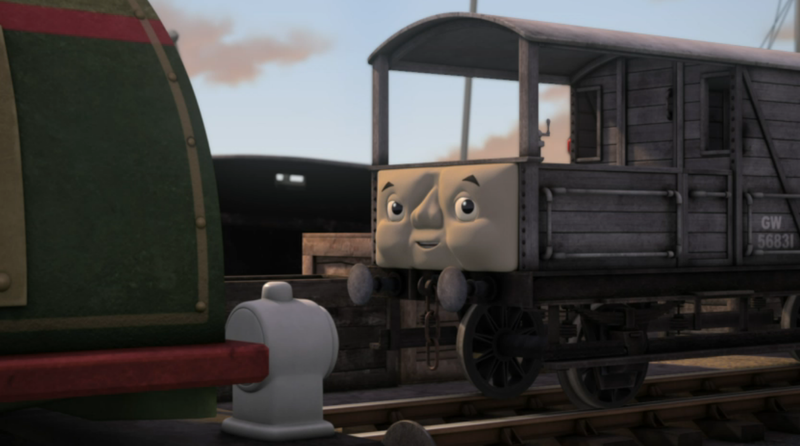 He never says it in any way, but it does feel like he has the "Great Western Way" attitude, and I much prefer his and Oliver's abidance of it rather than Duck's, whose more "in your face" about it (that's not to say Duck's a bad character though). 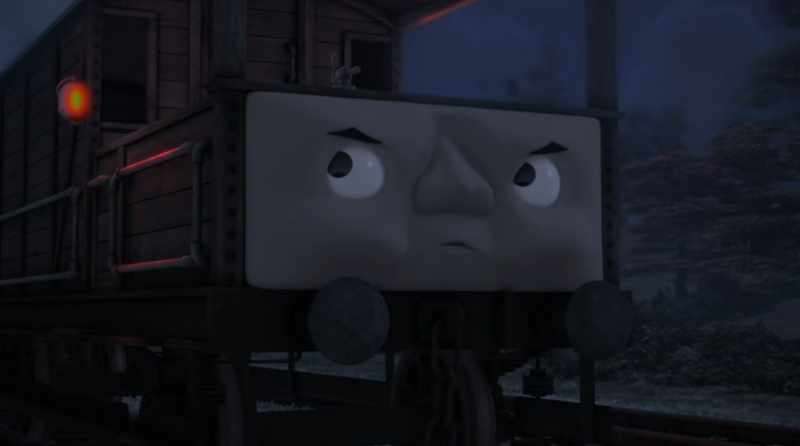 Also, considering what he went through with James, assuming Toad's Adventure took place before this, I can understand his tougher stance here. 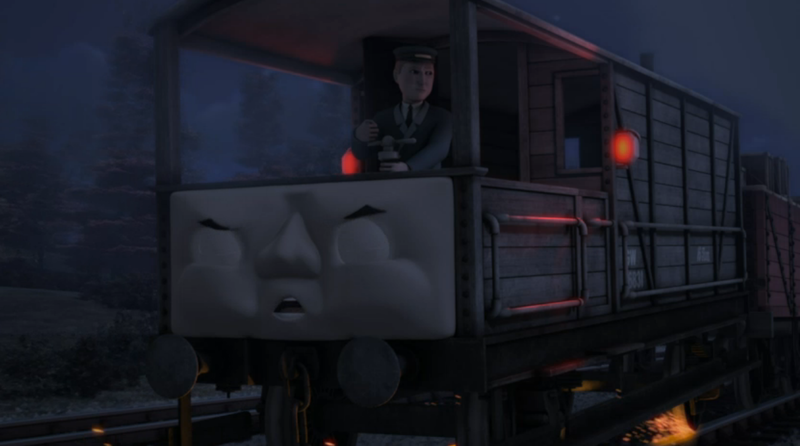 Speaking of that, I loved seeing the guard applying Toad's brakes again, Yes, it would have been nice to hear from him, or for someone to acknowledge that he applied the brakes, but seeing him there was still fantastic. Going back to how headstrong Gator was, this was the reason why I had no problem with it: he was punished for it. 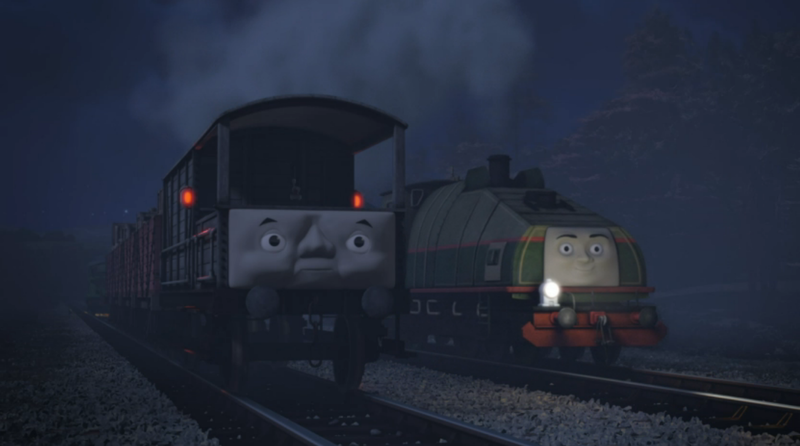 Toad warned Gator about the gravel and he warned of the dangers of going without a lamp and a brake van, but Gator thought he knew better and his arrogance was punished. Not only that, he felt guilty for what had happened. There doesn't need to be a huge smash to get the point across, and I'm actually really glad the new team are aware of this. That doesn't mean I would never want to see a big crash again, but there needs to be a purpose for it. One drawback for me though is a certain blue tank engine. 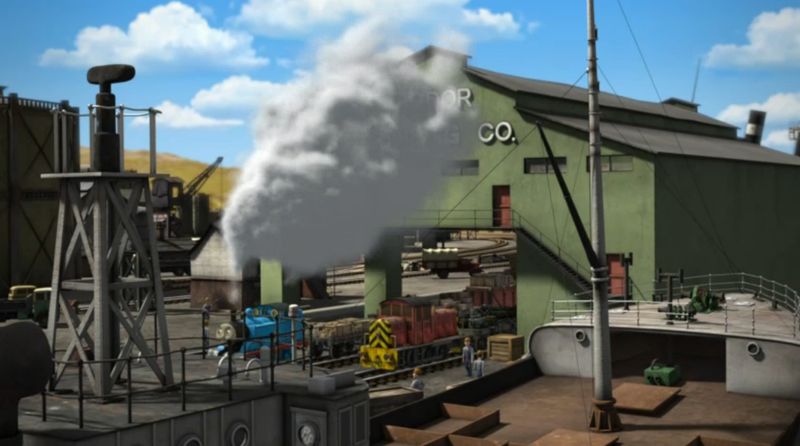 Thomas makes a couple of cameos in this episode, but in Tale of the Brave, his branch line was repaired by this point and he was seen taking Annie and Clarabel, ergo he shouldn't have been anywhere near the docks. This may seem like nitpicking, but the team were trying to make us believe that this takes place during the movie, and they needed to ensure that every little detail was perfect. 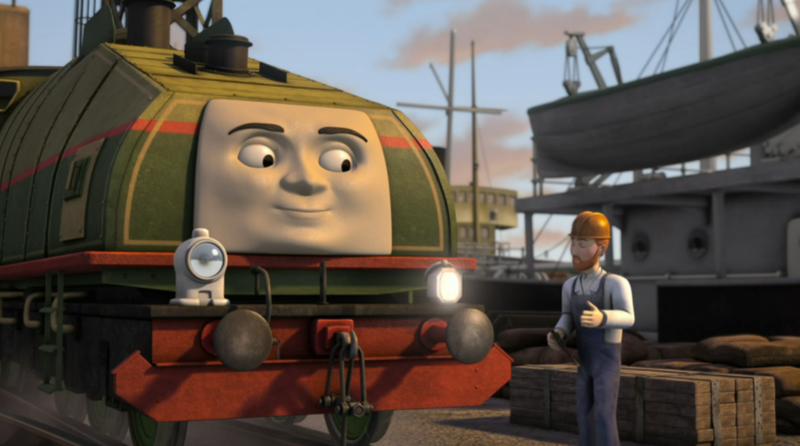 Another little oddity was that the dock manager was voiced by Matt Wilkinson again rather than Steve Kynman. Again, this shows a lack of consistency with Tale of the Brave. 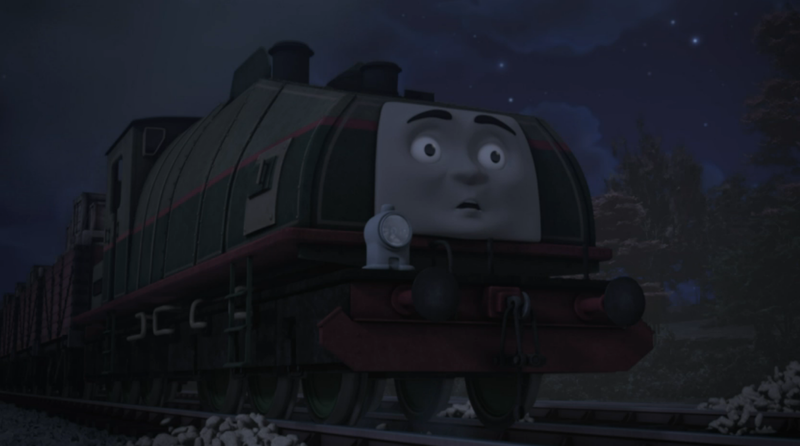 That said, considering David Badella voiced Victor in Blue Mountain Mystery, but not in series 16, this is nothing new. Other than that though, the rest of the voice acting was great. It was quite interesting to hear new voice recordings for the Tale of the Brave clips, although it could be considered inconsistent, too. Then again, it may have been considered "lazy" by some, so it seems like the team were in a no win situation there. And here comes the usual gushing over the animation! I really can't help it; it's absolutely beautiful. The night time scenes are stunning, as are scenes at the docks, so to see both attributes here was right up my street. 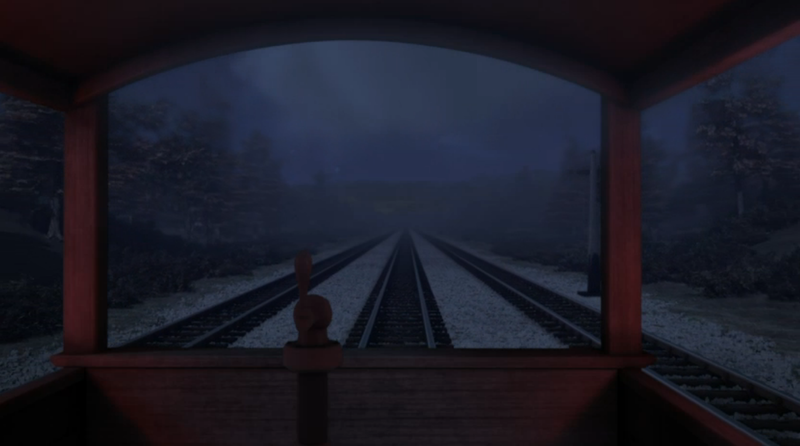 The shot from inside Toad was brilliant as well; it's like we're getting a proper insight of the guard's viewpoint. And that distant fog sets a brilliantly eerie mood, I love it! @Thomasfan1992 apparent that it would be set within TOTB as I wasn't sure how that would work and possibly lessen the impact of the special. For a first attempt at an episode like this (a "midquel"), I'd say they did a terrific job. Yes, it's not perfect with its consistency, but it's still a solid story. The dynamic worked really well, the Tale of the Brave incorporation never felt forced and the character interactions were great overall. The current run may have come to an end, but this episode has left me wanting more!